I think this quote hits at the heart of one of the hardest things for us humans to do. Forgive ourselves. Our mistakes can play over and over and over again in our minds. 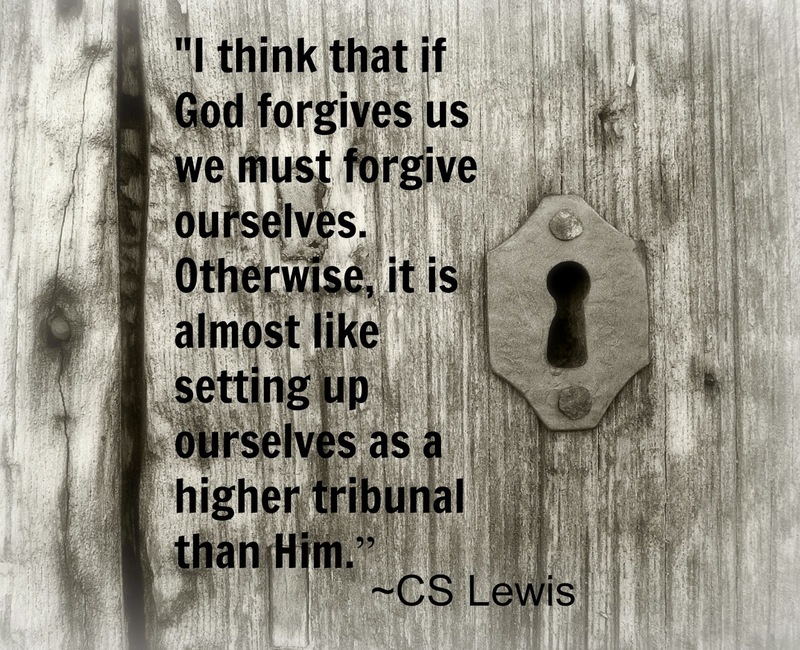 But what if we looked at forgiving ourselves as CS Lewis suggests here? 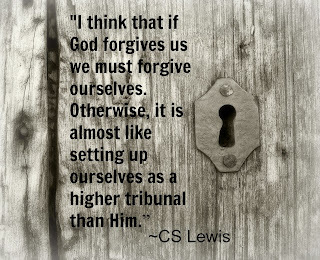 That to not forgive ourselves is setting ourselves above God? If you've sat at his feet and asked for forgiveness, no matter what it was for, he's forgiven you. Now it's time to stop playing God and forgive yourself. In complete freedom. Yes, there are consequences to our sin and poor choices, but there's also freedom when we release them. What an awesome quote. The more I reflect on it, the more freedom I find in it. Perfect scripture too.